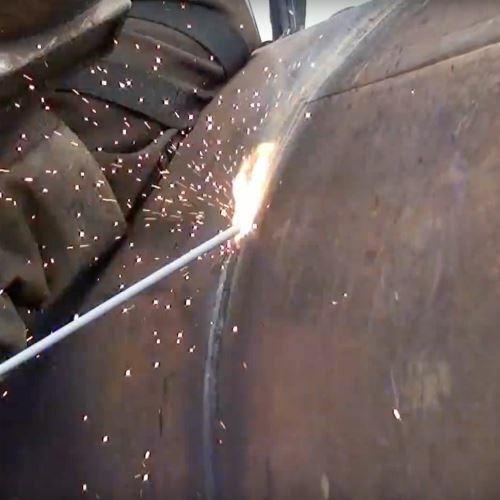 Whatever Non-Destructive Testing methods are used, weld inspection plays the largest part to form the Quality Assurance. The "Five P's" of weld quality will help reduce subsequent inspection to a routine checking activity. Then, the proper use of NDE methods will serve as a check to keep variables in line and weld quality within the standard that’s required. 1. Process Selection – The process must be right for the job. 2. 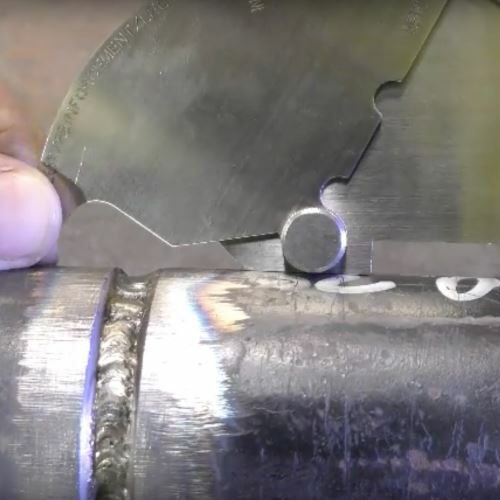 Preparation – The joint configuration must be right and compatible with the welding process. 3. Procedures – The procedures must be spelled out in detail and followed religiously during welding. 4. Pretesting – Full scale mock-ups or simulated specimens should be used to prove that the process and procedures give the desired standard of quality. 5. Personnel – Qualified people must be assigned to the job. Weld Inspection takes account of welding imperfections such as: Stray Arc, Spatter, Weld Profile, Linear Misalignment, Angular Misalignment, Excess Weld Metal, Weld Toe Angle, Overlap, Incompletely Filled Groove, Undercut, Porosity Wormholes, Crater Pipe, Root Piping, Cracks, Inclusions, Lack of Sidewall Fusion, Lack of Inter-Run Fusion Lack of Root Fusion, Lack of Root Penetration, Excessive Root Penetration, Concave Root, Burn-through Oxidised Root/Root Coking, Sagging, Mechanical Damage. 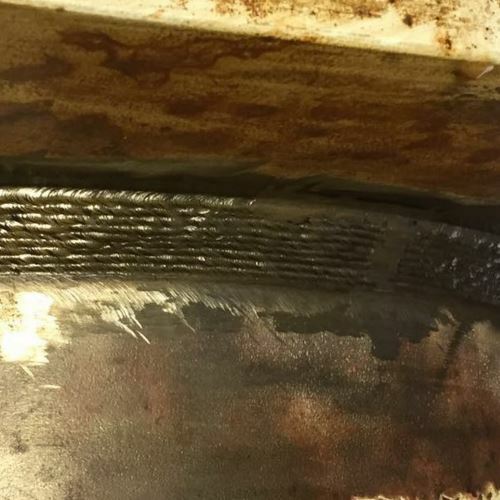 Anyone of the imperfections can affect the overall quality and acceptance of the weld, however all of these can be found through good weld inspection techniques and further NDT methods, typically in accordance with BS EN ISO 17637 and imperfections assessed to ISO 5817 but depending on the standard or code required, will determine the quality level that is required. Weld Procedure Specification (WPS) are written to list to control all variables during the welding process. The Preliminary Weld Procedure Specification (pWPS) is used during the Welding Procedure Qualification Test (WPQT) to produce test welds of which these will be taken away to our workshop where we will have sent to a 3rd party UKAS approved test facility to have mechanical tests completed, once the results are obtained we will write your approved Welding Procedure Specification (WPS). We currently offer all testing BS EN ISO 15614. Welder qualifications are the passports for all welders, to allow them to work to an approved WPS. Our Welding Inspector will witness the (Welder’s Qualification Test) to ensure that the weld being produced is in accordance with the approved WPS. 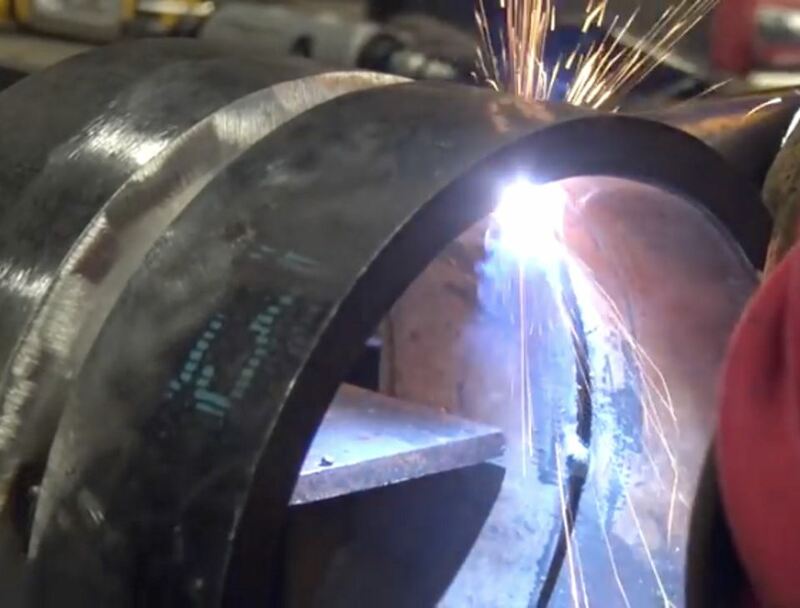 The produced welds will then be visually examined, and Non-Destructive Testing / Destructive Testing will be carried out in accordance with BS EN ISO 9606 and you’re your welder’s qualification will be issued.